Acid reflux, or heartburn, can cause a burning sensation in your esophagus after eating. It is often accompanied by indigestion and sometimes by chest pain. Although it is not a serious condition, heartburn can make you quite uncomfortable. When you have a case of heartburn, stomach acid can back up into your esophagus, causing inflammation. This happens because the lower esophageal sphincter opens while you are eating and is supposed to close quickly to stop food and stomach liquids from going back into the esophagus. Sometimes this muscle doesn’t close fast enough and you get heartburn. This burning sensation in the back of your chest might give you the feeling that the food is coming back up. Research has shown that certain heartburn drugs can increase one’s chances of having a heart attack. You should always consult with a doctor before taking any medication. In cases of heartburn that are left untreated for a long time, acid can build up and result in tooth decay. In some cases, heartburn can be mistaken for a heart attack. 1. Change your diet: This is the most straightforward approach to preventing acid reflux from occurring. First, you’ll need to figure out what foods cause your heartburn. That can be done by keeping track of what you eat and when you eat it. Take note of your reaction to those foods and begin eliminating or reducing your intake. 2 .Don’t lie down: We’ve discussed how acid reflux happens when the acid shoots back up through your esophagus. When you lie down, it becomes much easier for this to happen. This is one reason why heartburn can occur at night; after you eat and go straight to bed. Try waiting about three or four hours after eating before heading to bed. 3. Aloe juice: Because of the way it handles inflammation, aloe juice can be an effective treatment for heartburn. Whenever your stomach starts acting up or you begin to feel that burning sensation in your chest, drink half a cup of aloe juice to help ease symptoms. 4. Chewing gum: This seems to be a popular natural remedy for heartburn. Chewing gum as a treatment for heartburn is actually backed by research published in the Journal of Dental Research. Researchers found that chewing gum for half an hour after eating a meal can prevent or relieve symptoms of heartburn. 5. Baking soda: At its core, baking soda does a good job at managing stomach acid. But many people would agree that baking soda is also a great way to deal with heartburn and acid reflux. Mix one teaspoon of baking soda with a glass of water and drink it. Don’t use baking soda if you experience heartburn regularly. Because it is high in salt, the baking soda can cause other side effects. 6. Bananas and apples: If eaten on a daily basis, both bananas and apples can provide heartburn relief. Let the bananas ripen so you get the full effect of their natural antacids. Slicing up an apple and eating it shortly before bed is the best way to utilize its ingredients. 7. Mustard: Mustard, with a touch of vinegar, works well to counteract the symptoms of heartburn. Try consuming a teaspoon of mustard the next time you begin experiencing heartburn. 8. Chamomile Tea: Chamomile tea is known for fighting inflammation, but it can also help prevent heartburn. Drinking a cup about an hour before bedtime will reduce stomach inflammation and help balance some of the missing acidity in the stomach. It’s always important to consult with a doctor before beginning any kind of health regiment. This doesn’t mean you need to completely give up oranges, grapefruit, or even fried chicken; simply monitor what types of foods trigger your heartburn and set up a healthy dietary plan. 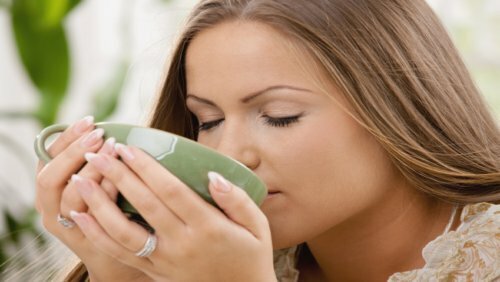 “15 Natural Remedies for Heartburn & Severe Acid Reflux,” everyday roots web site; http://everydayroots.com/heartburn-remedies, last accessed December 30, 2015. Wedro, B., “Heartburn,” http://www.rxlist.com/heartburn/drugs-condition.htm, last accessed December 30, 2015.